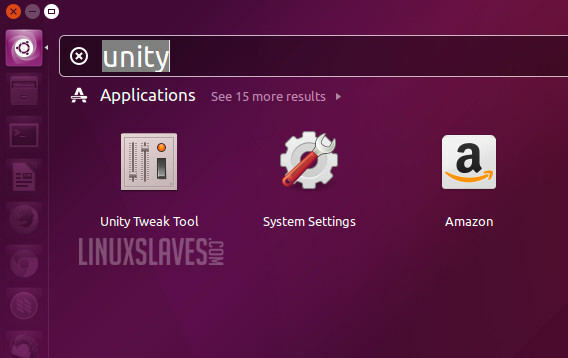 How to move Unity launcher from left to bottom - This post will tell you one of new things in latest Ubuntu desktop version, 16.04 LTS Xenial Xerus. 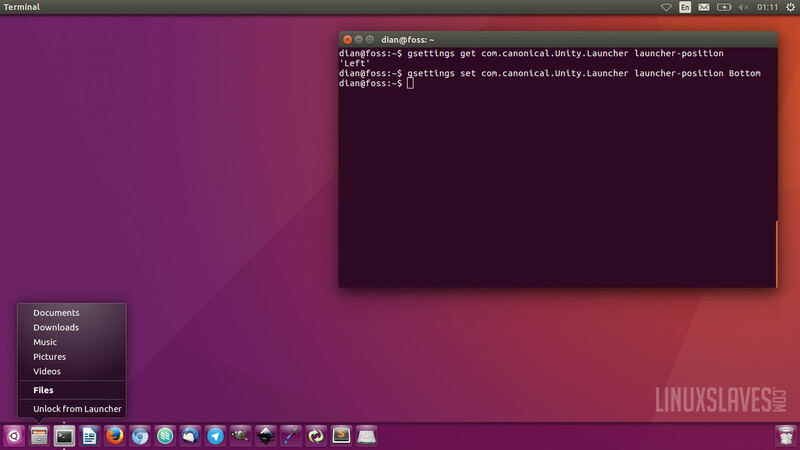 As many of you know, the default of Ubuntu Unity launcher is placed at the left of Ubuntu desktop. And finally, starting from Ubuntu 16.04 LTS, the launcher panel is movable. Now you can easily change position the vertical Ubuntu launcher bar from left to the bottom of desktop. Basicly, we have 3 choices to do this. It's based GUI and CLI ( Command Line Interface ) by using terminal window. I'll tell all of them. Let me show how to change. Long time Linux user may will choose this one. We can easily move the Unity launcher from the command line using gsettings. First, open your terminal window from Unity dashboard or press Ctrl+Alt+T. We'll use dconf-editor that GUI-based approach for the last choice. DConf is a low-level key/value database designed for storing desktop environment settings. Once installed, launch dconf-editor. 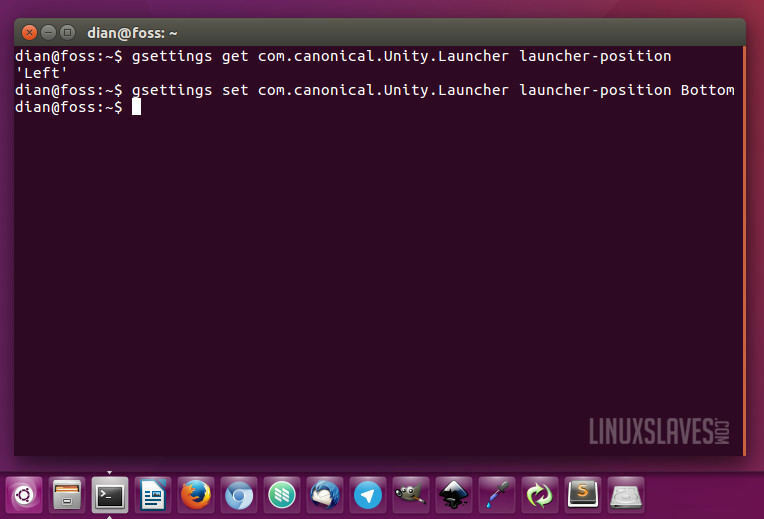 Click com -> canonical -> unity -> launcher in the left sidebar. Then at the right panel, change the value of "launcher-position" to "Bottom". Need more tips to get good looking Ubuntu desktop? You may like to read our previous post. Grab it all in Linuxslaves Desktop Art and Themes Menu. That's all I can write about 3 Ways how to move Ubuntu 16.04 LTS Xenia Xerus Unity Launcher panel menu from left to bottom of the screen. Hope you've enjoyed reading this tutorial as much I’ve enjoyed writing it and thanks for visiting us.